The Inspiration for this series of steps. Four years ago, when I first started learning about content marketing, I participated in a series of 30 day blog bootcamps as well as Hubspot’s Inbound Marketing program. 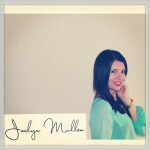 That said, the ideas, and tactics to promote your blog are a result of my experience and what I learned. 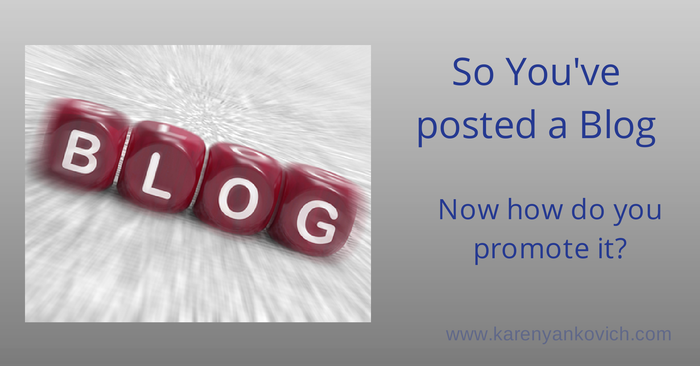 So you’ve hit publish on your WordPress, blogger, perhaps your Tumblr blog post. You have a link, now what do you do? 1) Input your link in bit.ly Not only does this super tool shorten the amount of characters, but you also get some analytics built in to help you track clicks, date and time info, etc. 2) Repurpose. Before we start scheduling your posts, take a look at the title. Take a look at the body. Come up with 6-8 ways to repurpose the post over the course of the week and in the future to come. As an example. Your first post would likely be the title and the link. Your second could be a snippet from the post with the link. The third could be a question the post explores with a link, etc. I think it’s important to create these first so the next step, scheduling them, is more streamlined. 3) Hootsuite. Make sure your social profiles are synched up to Hootsuite (or Sprout social/other aggregators) for streamlining and time saving purposes. Twitter, Linkedin, Facebook, (Google+ if you prefer—I prefer to post to Google+ manually and will explain why). Schedule your post and the repurposed posts you created over the course of the day and the week. *It is a best practice to share a blog post more than once per day on Twitter since the stream moves so fast but, be sure to do so in between OTHER content. A little self promotion on Twitter is ok. A lot of self promotion starts to lose it’s luster. LINKEDIN/FACEBOOK BIZ PAGE best practice: posting the blog 1-2 times is fine. As for the repurposed posts you created in step two, you will want to spread these out even further on Linkedin and Facebook over the course of a month to even the year on Linkedin and Facebook. 4) Google+ Copy and paste your original post into Google+ and use 3-4 corresponding hashtags including your name. Why? Hashtags in essence are becoming like key words as far as search and you want to be positioned and found for your expertise. 5) Pinterest. Here’s why I like having Google+ be separate from Hootsuite (this is totally personal and not one size fits all). I copy and paste the post from Google+. Then I click on the blog link so I am redirected back to the original post, I hit my “Pin It” button, Pinterest posts up and then I pin the blog image and paste the Google+ posting onto one of my Pinterest boards. Easy enough? 8) Newsletter. How does this post fit into your newsletter content? Perhaps you can highlight it along with other tips and updates OR you can feature it as a stand alone message, similar to what MarieForleo.com subscribers receive every Tuesday. The choice is yours. And it all depends on the frequency of your blogging. Just make sure to share with your email list as it is safe to assume that not everyone has the flexibility or time to keep up with you socially. The beauty of content marketing is that it’s not a ‘one size fits all’ approach. Each of us has our own strategies and techniques. Is there a blog promotion strategy I didn’t cover? Add it in the comments below! Great, great post! Your tips are spot on for promoting your blog posts. I really appreciate the tip for Google+ Copying my post and hash tagging key words is a great suggestion. I also recommend asking top bloggers to link to your post. Most definitely helps drive traffic to your site. If a blogger is on wordpress.com, check out Co-Promote. This is great Peggy! I need to play with Stumble Upon. This was a really great posting. It was very detailed and know exactly what to do through the information here with my blog post. I just started blogging for the first time this week so I am going to try everyone of these ideas with my blogs. I have never used Instagram or Stumble Upon but I am going to try it. Thanks Karen and Jaclyn, this was awesome. So glad it’s helpful Kimberley! So glad to hear this is helpful Kimberly! That is what I’m all about. How is your blogging coming along? This is an excellent post! Thanks for bringing up the bonus directories. After reading this post I am going to start implementing this new tactic for myself and my clients. I’ve got one more for the list, Another great way to “recycle” content (this is exclusively for content w/o an expiry date) is to use a platform like SocialOomph- I am sure there are others but this is the one I use- SocialOomph is great at automating your tweets and recycling old content. This is what I do- I input my tweets (in the various ways- and as you mention repurposing above) and set the queue reservoir on random and to repeat until the end of time. And ta-da. And I totally agree the content marketing is not a one-size-fits-all deal. This is one tactic, but it certainly won’t work for everyone. Sara I’m a HUGE Social Oomph fan! The $15/month Twitter plan is invaluable. I write three tweets for every blogpost I publish and put it in a blogposts queue. Thanks Karen for sharing such a great article and useful tips for new bloggers. i am also a blogger i assumed that these are massive tips to explore blogs.